New beginnings to me are like a creative art, where the artist needs no training or special eye to see what could be. All it takes is a vision for the future and enough motivation to realize those changes. I think new beginnings can be small and still have the impact of life-changing decisions. To illustrate, several months ago, I took up crocheting. I was looking for a new hobby and a way for me to practice building discipline. I just feel that when you start small in building positive character traits, it becomes loads easier to replicate those actions with more high-risk circumstances. 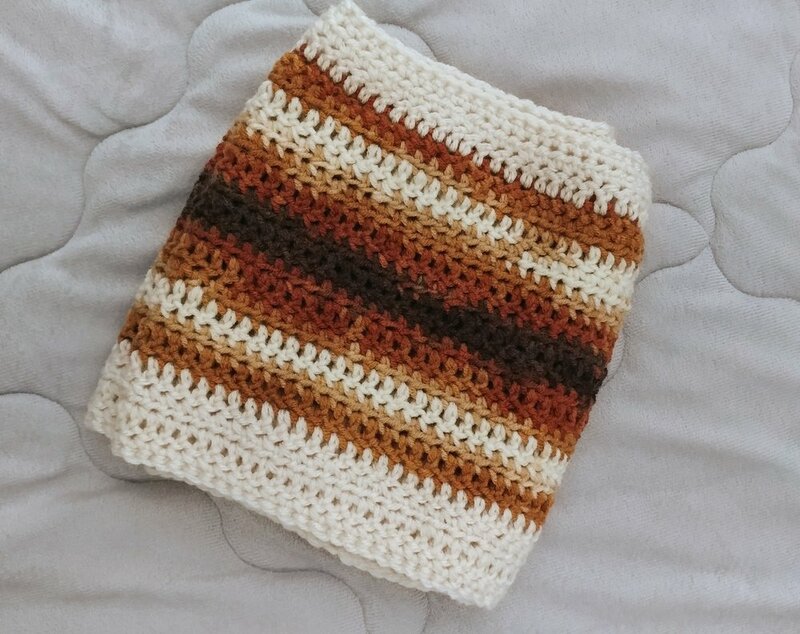 I took up crocheting as something to do at a time when I was quite literally in a state of transition - transitioning out of my apartment in New York, out of the state completely and back home to sunny California, transitioning out of the fashion industry and into the unknown, and my most influential mental transition from the person I was then to the woman I'm becoming. I felt such a lack of stability, and thought, if I could just count on one thing to be there, unwaveringly, I will feel okay. So when I started to crochet, I told myself that would be my thing. Starting something new isn't always easy - that's a given - but I think it opens up new parts of your mind you maybe haven't used in a while, or have never used at all. I know that's what crocheting did for me. When I was a kiddo, I was extremely crafty: always painting and drawing, and even taught myself how to sew full outfits and accessories (albeit shoddy as hell) on a machine by age 10. When it came time for college, I went the more business, analytical route and really made no room for my creative passions. In fact, I think my exact words were that I didn't want something so fun to become a chore because I would then be obligated to do it. So I studied business, and spent the better part of six years, reading, writing, and blinding my eyes on Excel spreadsheets. I'd forgotten what it was like to have a vision for something that I had complete control over creating, destroying, and iterating again and again. That's what I discovered once more when I began to crochet. Sure, it's not as daunting or involved as initiating a start-up, but I think it's a building block for other passions to emerge and manifest. It's the same feeling I get when I decide to write. Sometimes I'm writing a post that I choose for others to eventually see - but most times I'm creating content that is just for me. Free of the judgment of myself and my peers; my writing usually is what it wants to be. When I begin a new piece, much like crochet, it can commence with a definite intention and end up 70-180 degrees from where it started. The simple idea that I can create something with no bounds gives my mind somewhere to be when its own home is too cluttered. And like I said, no judgment makes for an even happier beginning and journey altogether. I guess what I'm really trying to say, in so many words, is that new beginnings give me hope. Though it's always been incredibly hard for me to say goodbye, I know that just around the corner is that feeling of euphoria analogous to feeling the warm breeze on an early autumn day. What's something that makes you feel hopeful?